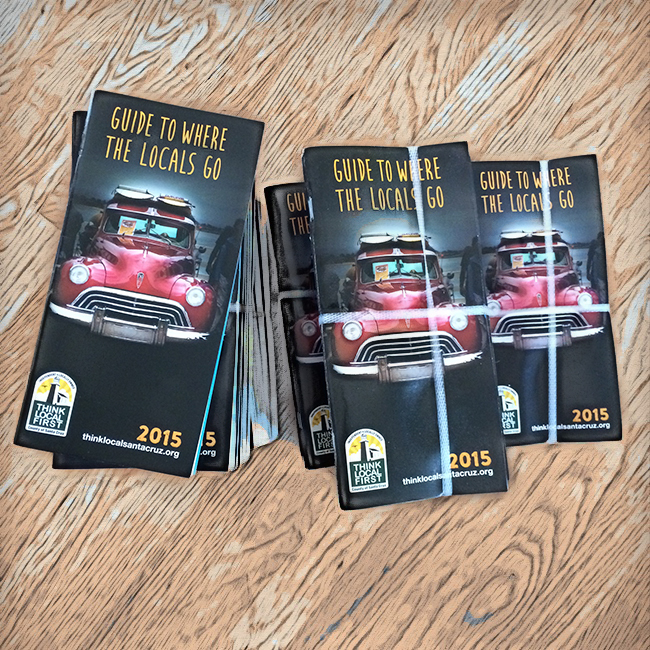 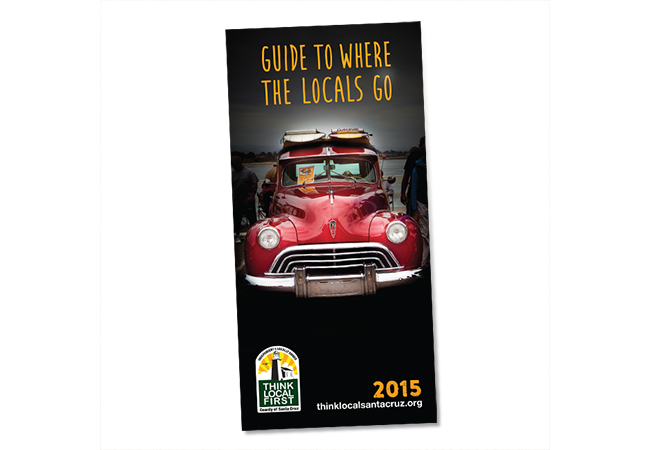 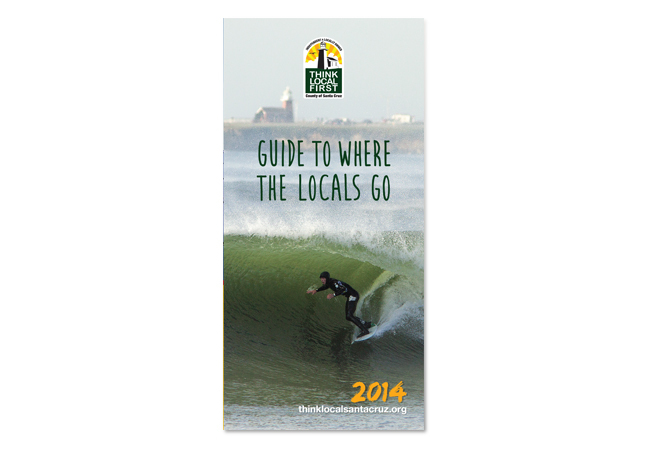 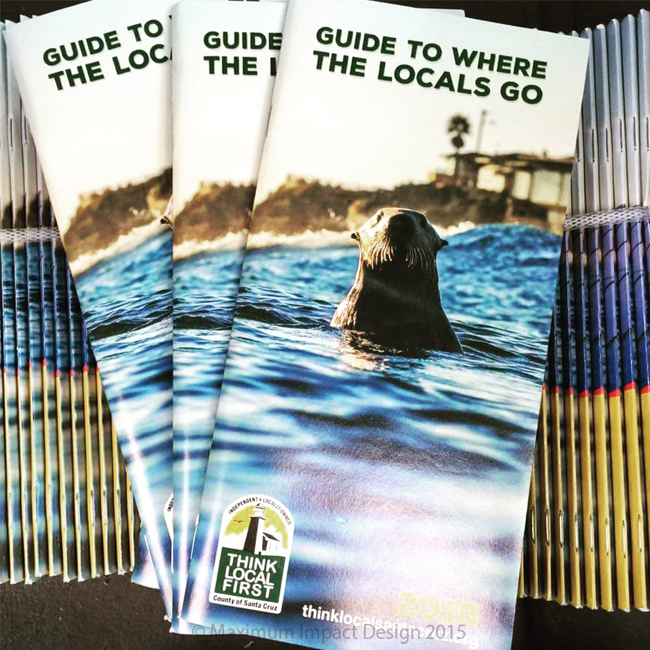 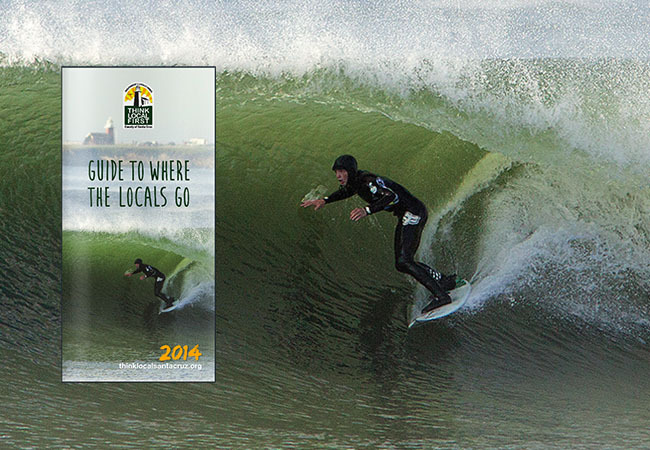 Pick up the Think Local First Santa Cruz 2016 Directory fresh off the press at local TLF member businesses the cover photo is by Kenan Chan photography. 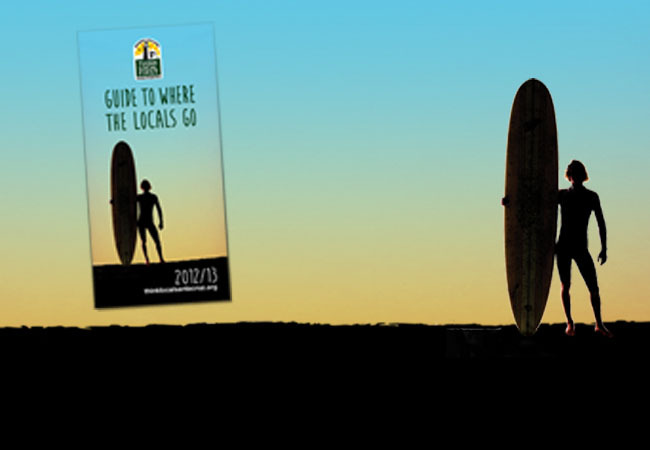 Pleasure Point say hello to a real local. 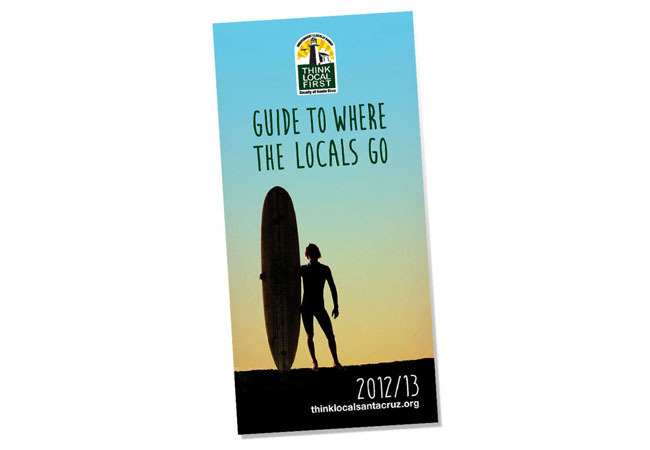 Redesigned from the ground up, designed and art directed the covers, complete redesign layout and design of 100+ directory with locally owned businesses.